Main character : Well matured bouquet. Characteristics : Tobacco leaf, mushroom, leather. 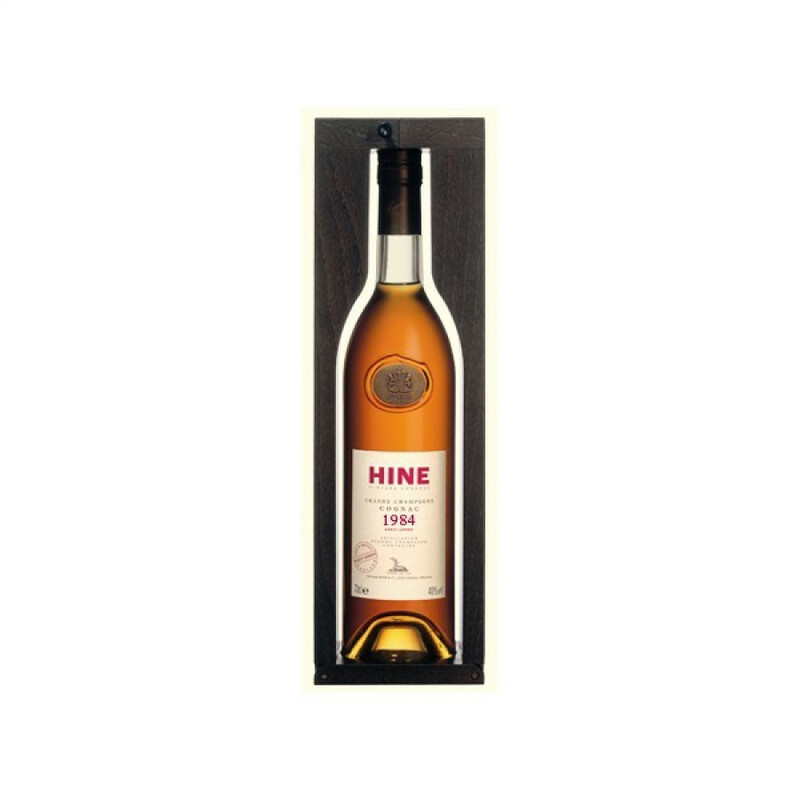 Hine Millesime 1984 Early Landed Cognac is an exceptionally aromatic cognac with an extraordinary mature bouquet. 1984 was an excellent grape harvest - not only that, but the wines were sent to be aged in Bristol in the UK (this is what is meant by the term 'early landed'. The damp, humid cellars here allow the eaux-de-vies to develop in a unique manner, before being returned to Hine for bottling. On the palate it gives hints of tobacco leaf, leather, and chocolate shavings. A delightful and full bodied cognac.